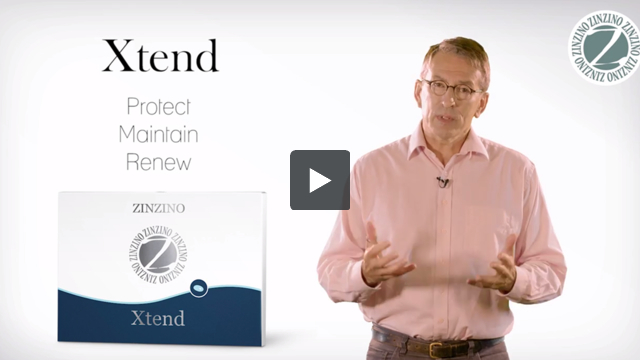 Xtend is designed to protect, maintain and renew your cells and tissues. It is the perfect supplement to the BalanceOil, providing you with a complete, extended micro- and phyto-nutrient support program. It extends the concept and function of being in balance to all areas of the body. Xtend is an excellent source of 22 essential vitamins and minerals, including antioxidant vitamins A, C and E, and further supports your body with a wide range of active nutrients and metabolic co-factors. 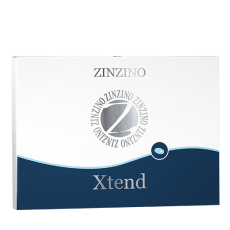 Xtend is the most advanced supplement available today. It starts with a full range of 23 vitamins, trace elements, adds the key phytonutrients* and tops them off with Wellmune, a purified 1,3/1,6 beta glucan derived from Baker’s yeast. *Phytonutrients are natural chemicals/nutrients produced by plants. The B vitamins (B1-B12) and also a number of minerals in Xtend such as copper, magnesium, iodine and manganese have health claims stating that they are important for a normal energy-yielding metabolism. Xtend contains several vitamins and minerals with approved health claims related to bones and muscles. These are Vitamin D, C, K and magnesium, manganese and zinc. In addition to the vitamins and minerals in Xtend it also contains carotenoids, xanthophylls and a group of polyphenols from a basket of fruits, spices and vegetables. To get the same amount of all these nutrients from foods, you would have to eat more than 3000 calories of the most nutrient-dense foods every day. All the ingredients in Xtend exert over a hundred health benefits confirmed by EFSA (the European Food Safety Authority). These affect every cell, organ and tissue4 in the body. Xtend is the perfect supplement to BalanceOil, providing you with a complete nutrient support program. Bulking agents (beta cyclodextrin, microcrystalline cellulose, tricalcium phosphate), olive leaf extract (Olea europea folia), magnesium hydroxide, algae (Ascophyllum nodosum), 1,3-1,6 beta-glucans* (from Saccharomyces cerevisiae), turmeric root extract (Curcuma longa), Vitamin C, Broccoli extract (Brassica oleracea), zinc bisglycinate, Vitamin E - mixed tocopherols and tocotrienols, green tea leaf extract (Camellia sinensis), tomato fruit extract (Solanom lycopersicum), Iron bisclyinat, anti-caking agents (silicon dioxide, magnesium salts of fatty acids, Polyvinylpyrrolidone), marigold flower extract (Tagetes erecta), folic acid, Vitamin K2, sodium selenate, niacinamide, Coenzyme Q10, sodium molybdenum, manganese bisglycinate, micro-algae extract (Dunaliella salina), copper bisglycinate, Pantothenic acid, Vitamin B12, Vitamin D3, chromium chloride, Vitamin B6, thiamine hydrochloride, riboflavin, Vitamin K1, potassium iodine, biotin. For adults and children over 12 years. Take with food. 2-4 tablets daily. Do not exceed daily dose. Store in a dark dry place at room temperature or in refrigerator. Food supplements are not intended as a substitute for a balanced and varied diet. Accidental overdose of iron containing products is a leading cause of fatal poisoning in children under 6. Keep this product out of the reach of children. In case of accidental overdose, call a doctor or poison control immediately. Doctor should be consulted before pregnant women or children takes Xtend. 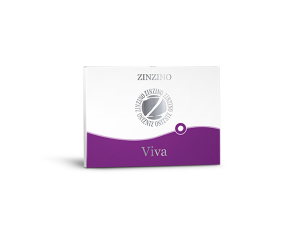 It compensates for the modern diet, which is low in many of the micro- and phyto-nutrients needs for optimal health. 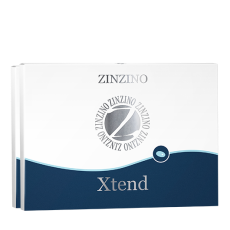 Xtend contains 85 micro gram of Vitamin K (25 mcg K1, 60 mcg K2), which is 113% of the RDI. The Vitamin K is known to compete with anti-K anticoagulant medication, so it is important to tell your doctor. The doctor should be monitoring your blood clotting time and will adjust the dose of your medication.